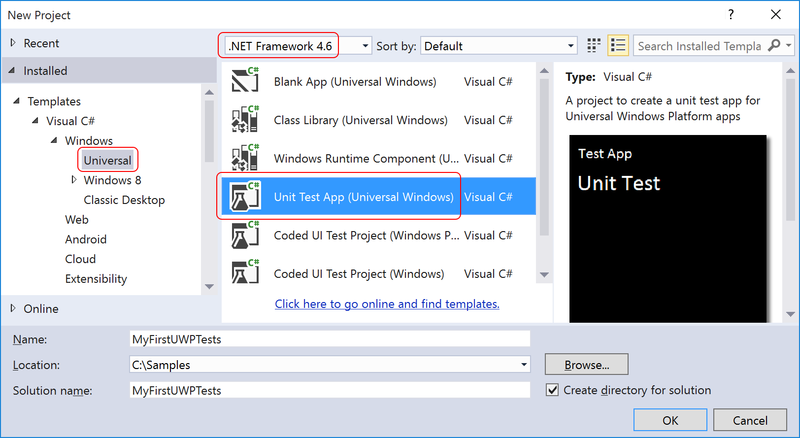 In this article, we will demonstrate getting started with xUnit.net, showing you how to write and run your first set of unit tests for your Universal Windows applications. Note: The examples were done with xUnit.net v2.1. The version numbers and paths may differ for you, depending on which version you're using. Build the solution to ensure that the code compiles. Local Machine is only available if you're running Windows 10. 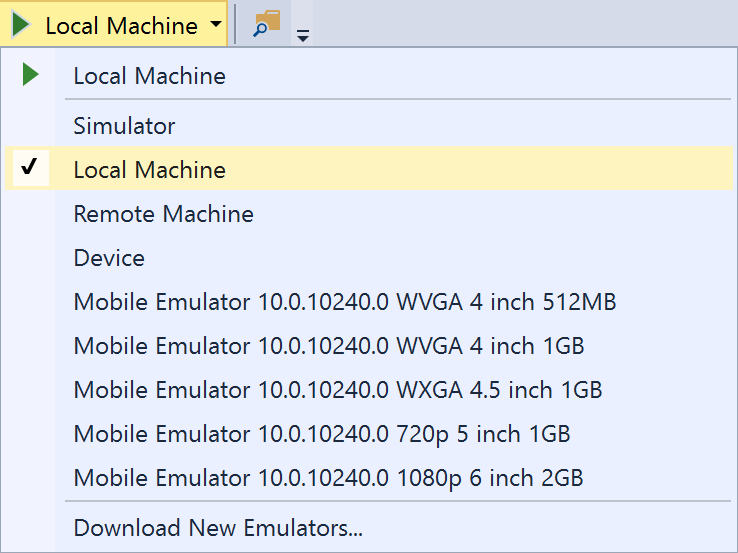 The Mobile Emulator options are virtual machines that run Windows Mobile 10, and they require that you have Hyper-V installed and running. The first time you launch tests on one of these emulators, it will take the system a few minutes to install and configure the VM. Subsequent runs should be shorter (and will be nearly instant if you leave the VM running between test runs). Once you have selected your runtime environment, then you can click Run All to run all your tests. 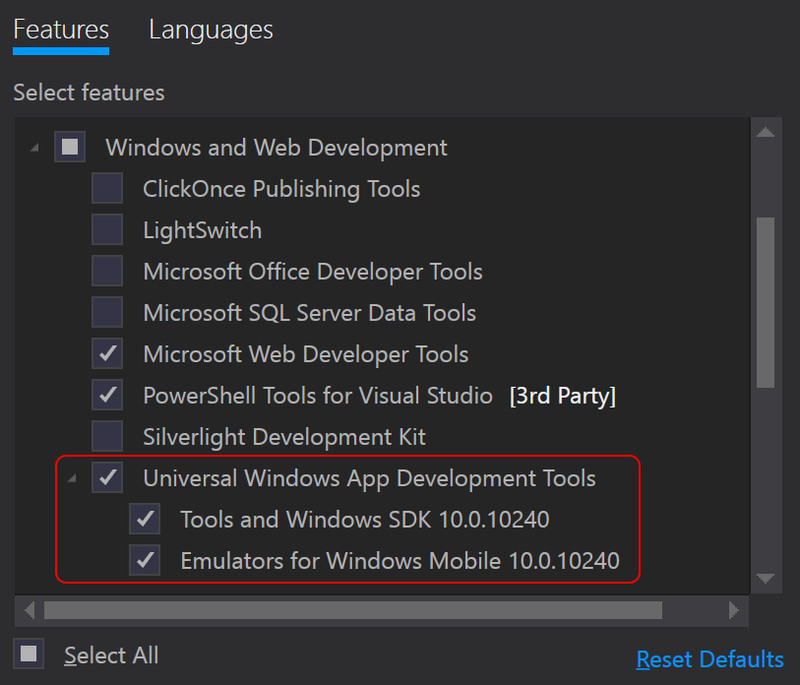 Depending on which runtime environment you select, you may see the unit test application launch on your local (or remote) machine, or you may see the Windows Mobile 10 UI pop up, to show your running test. 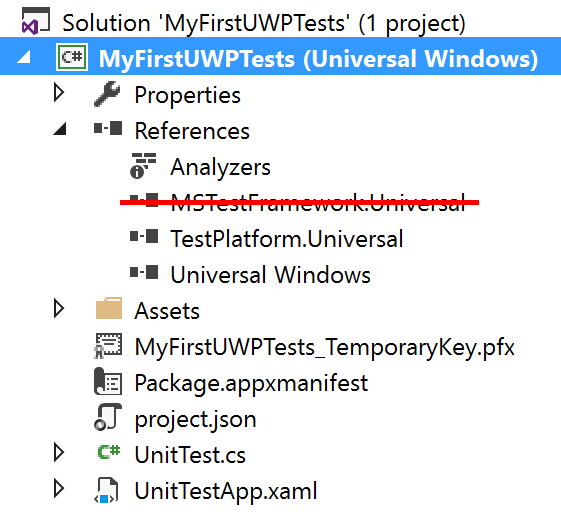 Once the tests have finished running, their results will show in the Test Explorer UI. 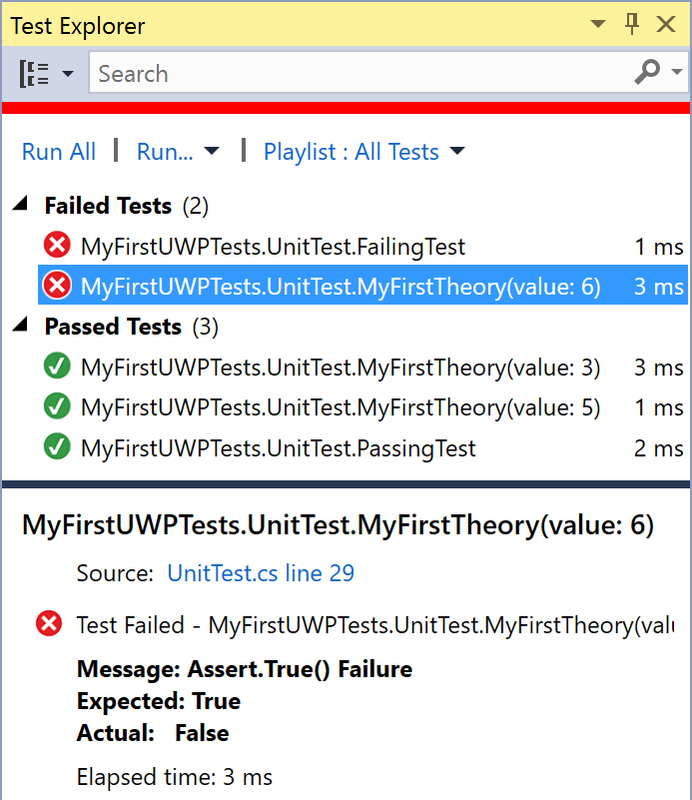 Although we've only written 3 test methods, the runner actually shows 5 test cases, because the theory test has been split out into individually runnable test cases.